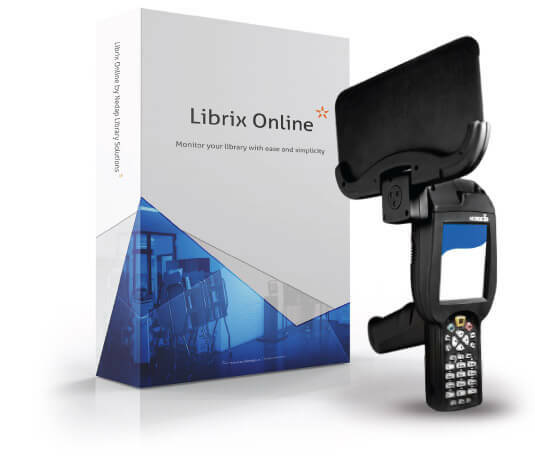 With our Librix portfolio we want to support libraries to maintain their relevance in the current age of information. This might be a small library that only needs their items to be secured or a large library that needs support with reshelving books, sorting library items or more efficient logistics. Even small libraries that gradually want to grow are also fully supported by the Librix portfolio. Because of what we believe, we are the only company in the world that produces RFID hardware and software just for libraries. We believe repetitive tasks can be eliminated, costs reduced and the level of service improved. Consequently, libraries can stay open longer with fewer resources, because staff can be utilized more effectively. In some cases, libraries can even operate without any personnel or at a remote location, so even though resources may be limited, patrons maintain access to library services. Thanks to RFID technology, libraries can now conduct remote, real-time book inventory. Our solutions are modular and scalable. 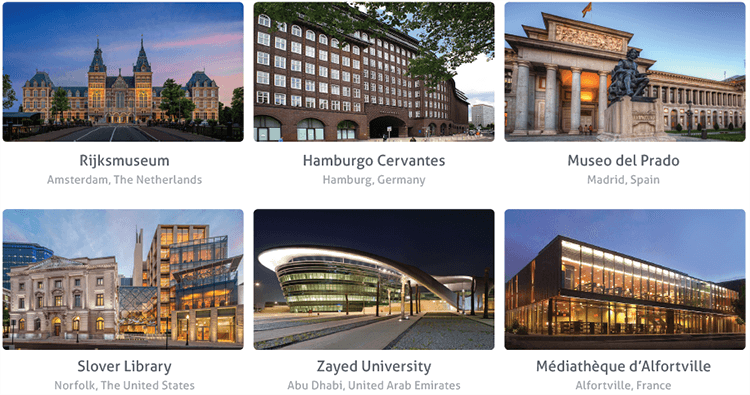 It doesn’t matter where you start, with Nedap Library Solutions every library is prepared for the future. A small library might only need its items to be secured or it might need support with the tedious and tiring tasks that do not seem to add direct value, such as lending and returning library items. A large library might need more support with reshelving books, sorting items or implementing a more efficient logistical system. This brochure introduces you to the five solutions of Nedap library Solutions. Need a little more information? No book leaves the library unseen. Your library’s collection is a valued community investment. To protect these library resources you can use our Detection Antennas. Detection Antennas complete your library’s circulation processes. With the anti-theft function the Detection Antennas ensure that no labeled item is stolen or registered as being available while it is lend out. 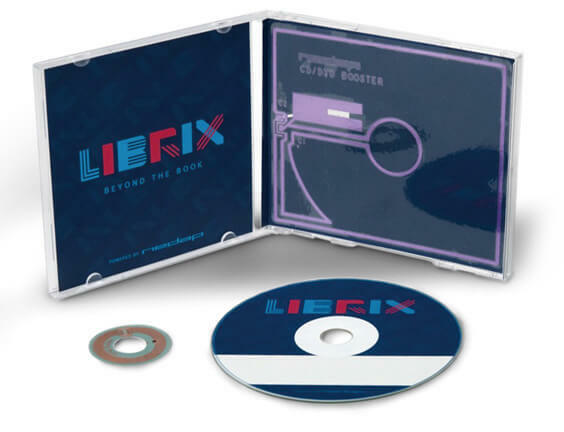 The Antenna Systems help you protect your print materials and digital media from unintended removal or theft. Our antennae are especially designed to blend into your library whilst maintaining the open character of your building. With its sleek design of only 20mm width and its high performance, the fully transparent gates are an absolute must-have for every library. 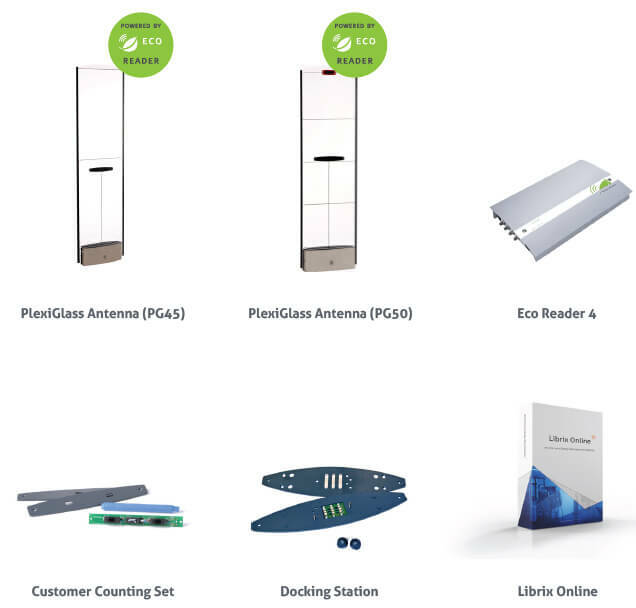 Antennae can be equipped with customer counting, allowing libraries to precisely track their customer count with the Librix Online platform. All detection antennae can be equipped with docking stations, allowing staff to temporarily remove the gates when needed. All configurations are equipped with an Eco Reader, saving libraries up to 60% in energy consumption on a yearly basis. All Detection Antennae are equipped with an Eco Reader. Every Eco Reader comes with a free energy management module. This implies that you can save up to 60% in energy consumption on a yearly basis. If you want to secure your library items with RFID technology you will need RFID labels inside books and on the audiovisual media. RFID labels consist of a chip/antenna combination placed on a plastic inlay. The label has a read/write memory, in combination with an anti-theft function. After check out, at the check-out counter, the antitheft function is automatically turned off. When the label is read, the item automatically receives the relevant status in the library management system and the security status is set. All Nedap hardware and software is fully compatible with all ISO certified RFID labels available in the market. As CDs and DVDs contain metal, the performance of standard HF RFID labels is reduced. Therefore Nedap has developed a special Booster Label for these purposes. Using these labels optimizes the performance of the identification and anti-theft functions at selfservice counters and security antennas by 40%. Don’t you want to get a clear overview on how many visitors your library has? And how many of these visitors actually have lend a book? You know that some people visit your library just to read a news paper, use your reference materials or make use of another service you provide, but you’re not able to prove this with any statistics. Now you can. Staff Stations enable staff to check-in or check-out items and convert barcoded items to RFID. 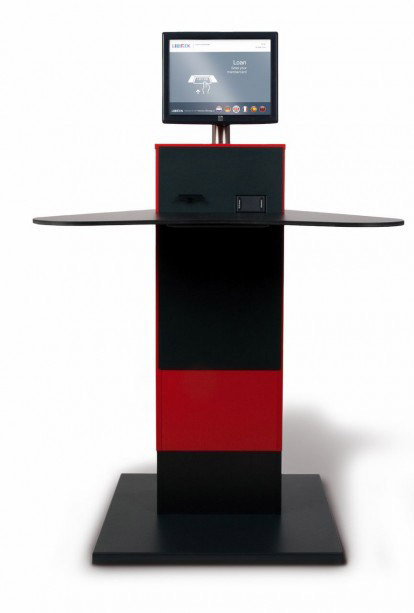 The standard Staff Station consists of an RFID-reader positioned on top of a desk/table (table top model), but we also offer Staff Stations that can be positioned under a desk or table. Due to the shielding a defined reading area is created. This enables you to place items on your desk, which are only detected when intended. Staff Stations can be expanded with barcodescanners (for conversion), ticket printers, software modules and intuitive touchscreens. The supplied Staff Stations can be used with existing hardware or with our optimised embedded PC’s. Thanks to flexible software your Staff Station can be connected to any LMS on request. The Library staff station functionally replaces the barcode scanner. The unit enables staff to check in or check out items and convert barcoded items to RFID. It can be connected to existing hardware as a standalone solution. This means that staff can perform all required activities without having to integrate with your information system. If requested you can integrate staff stations with any Library Management System. 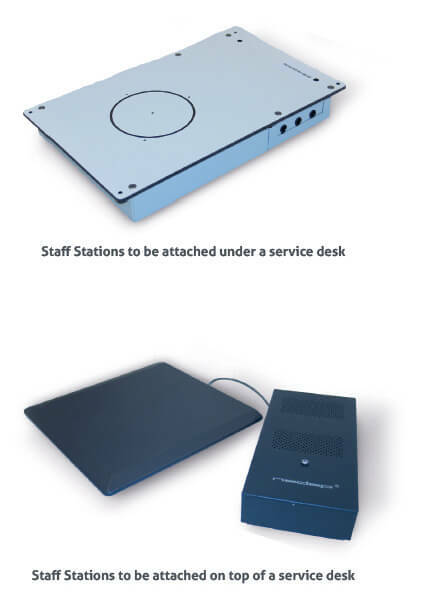 The standard staff station consists of an RFID-reader positioned on a desk/table (table top model). Nedap also offers a specially developed shielded reader. This reader can be installed under a desk or table and is minimally influenced by external factors such as metalized objects in the reading area. Additionally, due to the shielding a defined reading area is created. This enables you to place items on your desk, which are only detected when intended. Librarians have time for visitors again. Don’t you agree that the job of a librarian should exist of advising and informing customers? By reducing timeconsuming tasks such as checking in and checking out books and other library items, self service solutions help your library staff to save valuable time. This way, library staff can focus on things that matter most. 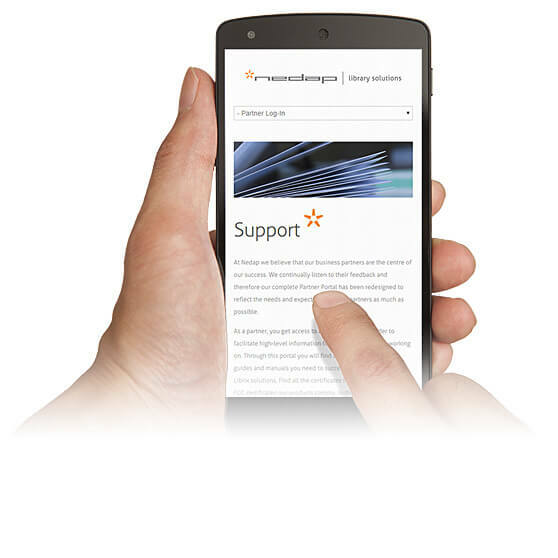 The selfservice solutions of Nedap are fast and easy to use. Due to the userfriendly touch screen and step-by-step instructions, everybody is able to loan library items at their wish. The system processes books, magazines, CDs and DVDs. Next to that, it provides remote service and support if required. 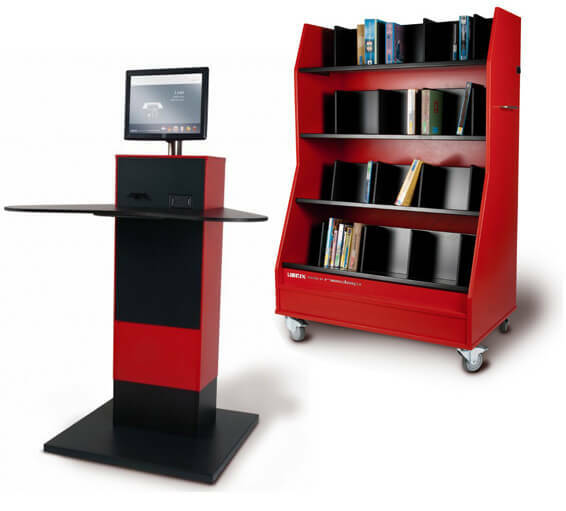 The RFID selfservice library enables you to allocate your human ressources more effectively. Due to the fact your patrons are taking over up to 95% of the repititive work the staff was doing before, you save valuable time and money. This enables you to extend opening hours and provide additional services to your patrons without having to invest in headcount. In the RFID self service library you don’t only use RFID for security and circulation, but you add the functionality of self service. This way your patrons can lend and return the items by themselves. Additionally, in the process more patron privacy is granted. Moreover, your staff can spend their time on value-added activities such as informing and helping patrons to find what they need. Invisible detection to find, return and lend books. RFID offers different solutions to improve the conditions in the library, improve service levels to your customers, create a better working environment and much more. All the mentioned solutions improve the conditions inside the conventional library. The increasing demand for service points other then the conventional brick-and-mortar alternative, requires out-of-the-box thinking. 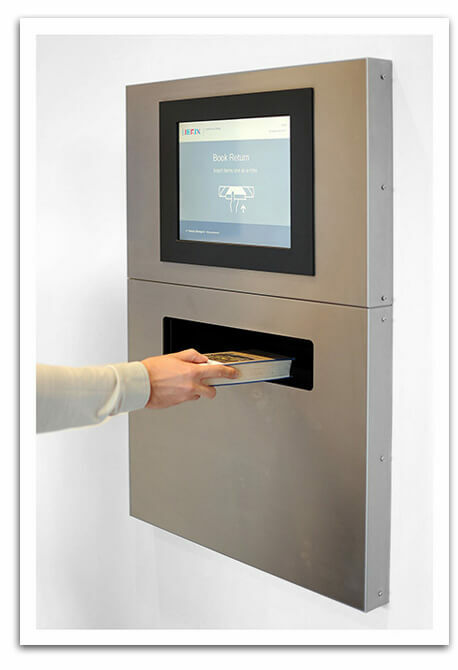 With RFID it is also possible to offer your library services on external locations. This way you can, in these time of reduced budgets, maintain or extend your library’s reach significantly. Our Library Service Point-solutions let you extend your services to supermarkets, university faculties, schools, train stations or any other location where people come to enjoy the services of your library. Checking in returned library items and, in particular, sorting, is a time consuming job for library staff. Therefore Nedap has developed different selfservice solutions for checking in books, CDs, DVDs and other media such as: Check-in Stations, Intelligent Trolleys and Shelves and automated material handling solutions. The reduction of time consuming tasks means staff will have time to support and advise patrons. Moreover, the physical burden on your staff is reduced, lowering risk of suffering from RSI and other health related problems. - Build-in Intelligent Shelves or Self Service solutions in existing or bespoke furniture. Sorting millions of books without a hand. Checking in returned library items and, in particular, sorting, is a time consuming job for library staff. Therefore Nedap has developed several sorting solutions. The reduction of these time consuming tasks means staff will have time to support and advise patrons. Moreover, the physical burden on your staff is reduced, lowering risk of suffering from RSI and other health related problems. Autosorters consist of only two parts; the check-in and the sorter itself. For the intake Nedap has developed a robust and safe outdoor unit. The same goes for our indoor units, but in addition the unit also contains a monitor with user-friendly feedback during the check-in process. By default we provide sorters that can sort items in 1 to 5 bins simultaneously, but the modular design of these sorters allow for even more advanced and complex automated setups. Therefore, should you have any special demands, we’d be more than willing to assist you with the construction of a customised sorter setup. With our Automated Material Handling solutions there comes an end to the time consuming tasks, that a librarian has to do, such as handling and sorting library items. All sorting activities will be automated by the Material Handling systems. This will save your staff valuable time. Consequently, staff will have time to do more important tasks such as informing and advising patron. The Autosort Indoor can easily be built into existing interior walls and enables the patron to quickly return an item. Whenever a patron places an item in the letterbox, it automatically recognizes whether it belongs to your library, opens its hatch and checks-in the item. When it does not recognize the library item as such, the hatch remains closed. Due to the fact that the Autosort solutions take over the repetitive work, such as checking in and out library items, this will save staff a lot of time so they can support and advise patrons instead. As an additional advantage the physical burden on your staff is reduced. This lowers the risk of suffering from RSI and other health related proble. With the Automated Material Handling solutions libraries offer their patrons the possibility to return library items 24 hours a day. Next to that, this solution will take over time consuming tasks, that a libririan has to do, such as handling and sorting library items. All sorting activities will be automated by the Material Handling systems. This will save your staff valuable time. Consequently, staff will have time to do more important tasks such as informing and advising patrons. 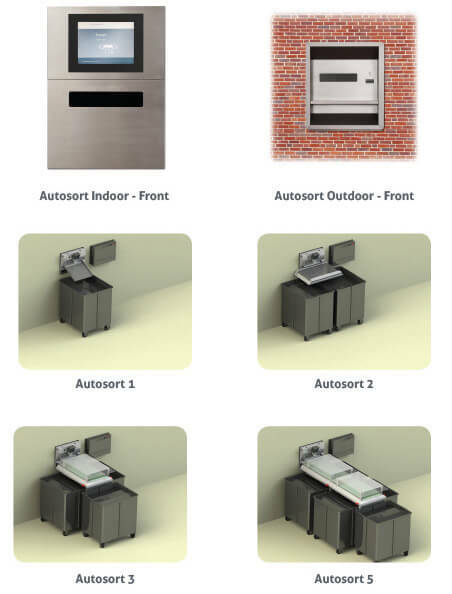 The Autosort outdoor can easily be built into existing exterior walls and enables the patron to quickly return an item. Whenever a patron places an item in the letterbox, it automatically recognizes whether it belongs to your library, opens its hatch and checks-in the item. When it does not recognize the library item as such, the hatch remains closed. 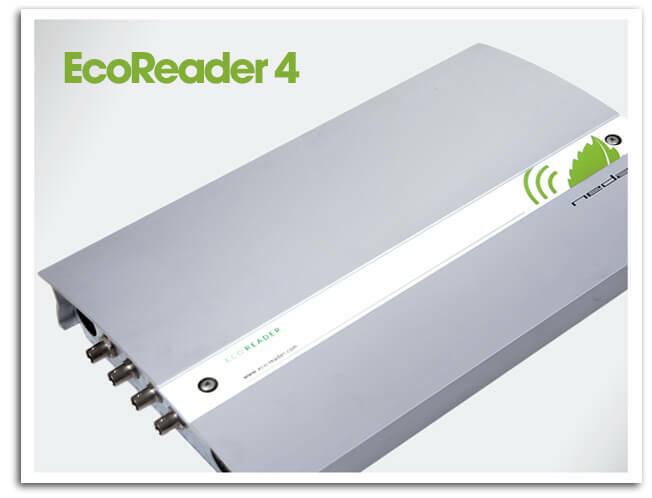 Most of our solutions are controlled by the renown Eco Reader. The Eco Reader is a high power RFID reader designed for applications that require a large read range or must be able to detect a large amount of RFID tags simultaneously. 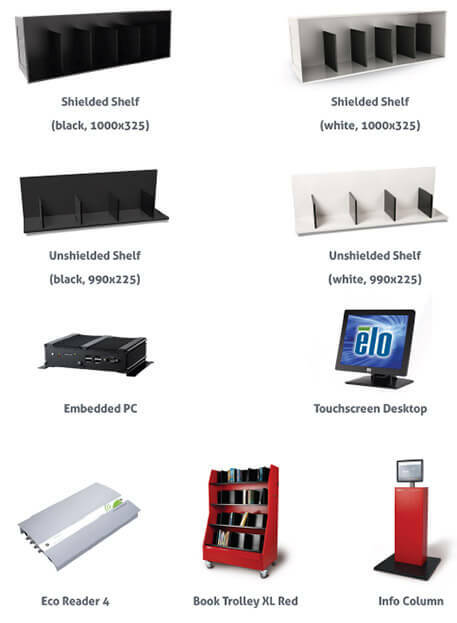 These applications include anti-theft detection antennas and intelligent shelves. Every Eco Reader comes with a free energy management module. This implies that for each reader, you can decide at which time you want the reader to be powered and when you want it to shut down. When you connect to our online platform Librix Online, you can even set different times for all days of the week. On a yearly basis, this can save more than 60% in energy consumption. Because in our; opinion, every milliwatt counts. BilioCheck is the userfriendly software which allows patrons to check in and check out their own items. Since it is easy and intuitively to use, BiblioCheck offers your patrons a unique selfservice experience. Additionally, with BiblioCheck you can create your own user screen and add several features and settings to help you optimize your selfservice screens to the specific needs of your library. For example you can customize backgrounds, add your logo, show the latest news and send e-mails instead of tickets. More and more libraries want their RFID equipment and user screens to reflect their identity. With BiblioCheck 4 you can easily change backgrounds, add logos and insert news feeds. Additionally, it is possible to completely change layouts such as texts, color scemes, etc. with HTML. 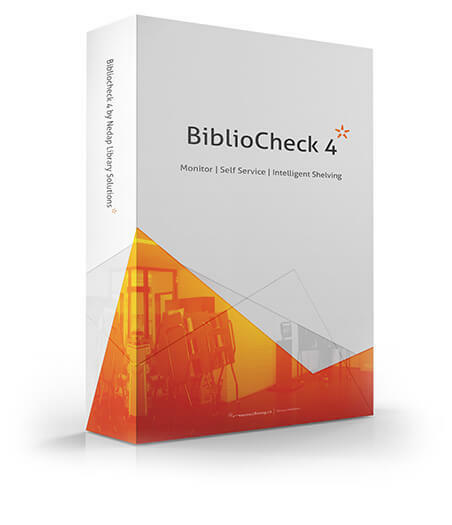 BiblioCheck 4 was made to work with your current library environment. The universal architecture of the platform allows up to 60 LMS’s to be connected to the platform. Want to see if your specific data model or LMS is compatible with BiblioCheck 4? Upgrading your library with Nedap Library Solutions should be an easy and smooth process. We care about the relationships we have with our clients and partners. Our service doesn’t stop when we’ve shipped our products. We work together closely to integrate our library solutions in the best possible way for every specific library. iMotion Security is a partner of Nedap Library Solutions - expert in Nedap’s RFID solutions. We’ve had extensive training and are always updated with the latest product developments. Doing business with a Nedap partner is a guarantee for quality service and integration. Upgrading an entire library to Nedap’s Library Solutions can be challenging. To keep the entire process going smoothly and with ease Nedap Library Solutions set up an extensive support programme. 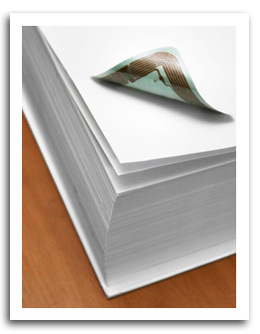 Every partner has access to all product documents, manuals and guides. On top of that, our online helpdesk is just one touch or call away. We’re always there for you!